There is a saying which gets used a lot in the outdoors community; “any fool can be uncomfortable”. It’s completely true, staying comfortable out of doors is relatively straightforward and there is no need to be uncomfortable. While a tent might spring to mind as the obvious solution to staying comfortable on a night out of doors the more adventurous among you, or those of you who find tents stifling and sweaty might consider spending a night under the stars. So what can you do to make sure you are not the uncomfortable fool when it comes to sleeping out under the stars? This point is absolutely key, possibly the most important thing that contributes to a good night sleep out of doors. Lying on the cold ground conducts heat away from our bodies and chills us. Just as the rubber handle of your ice axe protects your fingers from being chilled by the metal shaft. 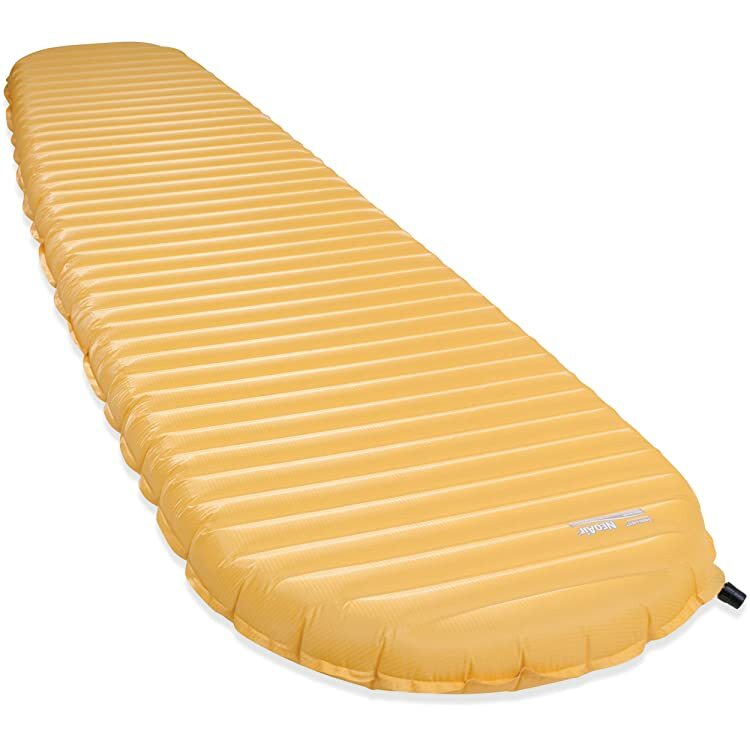 So you should always carry an insulated camping mat made of closed cell foam or an inflatable mat such as a Thermarest. The inflatable variety has the advantage of being smaller than the traditional foam types. I have slept at well below zero countless times and can vouch for the usefulness and indeed the necessity of these mats, combined with a sleeping bag they can raise the comfort rating of that bag by several degrees. You will notice that any sleeping bag you purchase will have a range of temperatures assigned to it normally a comfort rating with a lower and upper threshold and an ‘extreme’ rating which indicates the temperature that the sleeping bag might be suitable for at a push, perhaps if you wear all your outer clothes at night or with some extra insulation from the ground. If you don't have a purpose-made mat though it’s not the end of the world an old blanket folded up underneath you, a deep pile of dry leaves, bundles of twigs, a carpet of spruce branches, anything at all that will get you off of the cold ground will keep you much warmer. At one of my permanent camp sites, I have gone as far as building a bed made of thumb thick hazel rods cut from the woods fastened between two large logs. These keep me about a foot off the ground so none of my body heat is lost to the ground and provide a slightly springy mattress. While I’m not advocating that you pack a dedicated set of pajamas what you definitely should do is pack an extra set of clothes that you can wear at night. This will make an enormous difference to your comfort, especially if you are in a humid or damp environment or have a strenuous day leading up to your night under the stars. Being able to change into something dry before climbing into your sleeping bag feels amazing after a day in sweaty or rain-drenched clothes and you will certainly feel more comfortable in dry clothes. More importantly, though wet clothes provide less insulation and will wick your body heat away from you. So pack dry clothes which you dedicate as evening wear, I normally go for tracksuit trousers and a long-sleeved t-shirt. One final reason for this is that the modern nylon material which most sleeping bags are made of aren't always comfortable against the skin, especially if you're a bit sweaty so your nightwear will be extra important for this reason. Keeping your sleeping kit dry is vitally important. Traditional down sleeping bags are very warm for their weight but once they are wet they lose all their insulative properties and must be dried thoroughly before they will be any use again. Modern sleeping bags with synthetic filling will retain some of their insulative properties if they get wet but will be much more efficient if they are dry. Before lightweight roll-top dry bags became universally available and popular I used old plastic fertilizer or pig food sacks, they are much stronger than your average trash bag, which I would stuff my sleeping bag and dry clothes into to keep it dry even if rain penetrated my pack or I took a tumble into a river. Another advantage of these watertight wrappings is that it keeps your bag buoyant if you do end up in the water. Nowadays there are plenty of watertight nylon bags available which are much lighter than my old plastic sacks. I pack a lot more than my sleeping bag and dry clothes in these bags now as it makes things easier to find if you know that your food is all in the green bag or your first aid kit is in the red bag but your priority should be keeping your sleeping kit dry. Hold on we’ve covered this, haven't we? Well, there are two parts of this keeping your kit dry before you are ready to sleep is one part of it the other is making sure you stay dry while you are asleep. Your tent not only intercepts the rain at night but you will notice when you wake that there is always moisture inside your tent from condensation. These are waterproof bags which go around your sleeping bag and can be used alone so you can sleep outside with nothing more than your sleeping bag, bivi bag, and a camping mat. The bivi bag will keep rain and condensation off your sleeping bag and will add another fee degrees to the bottom of your sleeping bags comfort rating. Although they do keep the wet off your bag they don't provide a dry space for you to sit and get out of the rain, a tarp does do this. Tarpaulins used to be heavy canvas sheets treated with tar to make them waterproof but nowadays the terminology has been borrowed and applied to a range of lightweight nylon shelters. These can be pitched between trees or propped up on sticks to provide a roof and a dry space to sleep and eat under but they won't keep the condensation off your sleeping bag so consider using both tarp and bivi-bag together. A tarpaulin shelter for a few people with a fire place in it for winter camping. Sleeping outdoors without a tent can be a fantastic opportunity to get a bit closer to nature than you might normally when camping in a tent. It doesn’t need to be uncomfortable or cold, and in fact is often more comfortable as you don’t get the sweaty, claustrophobic feeling that you do in a tent, and there is no disputing that under the stars the view is better.